Sunset Equipment has announced a new partnership with Toro Australia which will see them supplying Toro’s compact utility loaders range. “The Toro Company has been in the industry for nearly a century and has been established in Australia for over 40 years,” Mr Collins said. 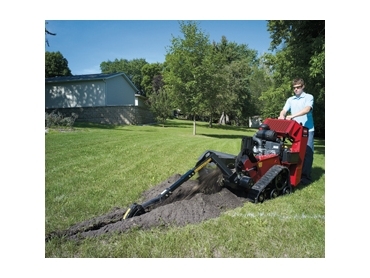 He believes the partnership was sparked by demand for quality mini excavator equipment. “We recognised a high demand for quality mini excavator equipment and we’re proud to be able to offer our customers such a quality range,” Collins said. Toro Australia National Sales Manager Robert Rein said the partnership would provide the opportunity for growth in the Queensland market. “From our perspective, we wanted to strengthen our brand and our presence in the Queensland market. Sunset Equipment was the right move for us and really suited our new direction,” Rein said. As a result of the deal, Sunset Equipment will be the dealer for Toro across SE QLD and beyond. They will cover territory from the Northern Rivers, NSW to Bundaberg, QLD and out west to the border. The range includes the Toro Traxmaster Compact Utility Loaders, the Toro Wheelmaster Compact Utility Loader and the Toro Trenchmaster. Toro’s focus on customer service also means customers will be able to take advantage of several exclusive offers on the compact utility loaders as well as other products.